With social media continuing to increase in importance for online marketers, the problem arises of measuring both metric and sentiment results. While keeping a close eye on the volume of engagement is fairly important, it comes second to understanding what users are saying about your brand or products. As such, earmarking a chunk of budget for professional monitoring companies and technology has enormous benefits, but it can be costly, especially for smaller businesses. Thankfully there are some great free tools out there to help you make sense of things. 1. Addict-o-matic – Allows you to create a custom-made page to display search results. 2. Bloglines – A web-based personal news aggregator that can be used in place of a desktop client. 3. Blogpulse – A service of Nielsen BuzzMetrics. It analyzes and reports on daily trends within the blogosphere. 4. BoardTracker – A useful tool for scanning and tracking within forums. 5. Commentful – This service watches comments/follow-ups on Blog posts and similar content such as Flickr or Digg. 6. FriendFeed Search – Scans all FriendFeed activity. 7. Google Alerts –Daily or real-time alerts emailed to you whenever a specific keyword (chosen by you) is mentioned. 8. HowSociable? – A simple way for you to begin measuring your brand’s visibility on the social web. 9. Icerocket – Searches a variety of online services, including Twitter, blogs, videos and MySpace. 10. Keotag – Keyword searches across the internet landscape. 11. MonitorThis – Subscribes you to up to 20 different RSS feeds through one stream. 12. Samepoint – A conversation search engine. 13. Surchur – An interactive dashboard covering search engines and most social media sites. 15. Tinker – Real-time conversations from social media sources such as Twitter and Facebook. 16. TweetDeck – Not only a great way to manage your Twitter account, but the keyword search means you can see what people are saying about you. 17. Twitter Search – Twitter’s very own search tool is a great resource. Can be subscribed to as an RSS ffed. 18. UberVU – Track and engage with user sentiment across the likes of, FriendFeed, Digg, Picasa, Twitter and Flickr. 19.	wikiAlarm – Alerts you to when a Wikipedia entry has been changed. 20. Yahoo! Sideline – A TweetDeck-esque tool from Yahoo. Monitor, search and engage with the Twittersphere. Kurt Cobain’s widow has caused more than a little frustration with his fans over the years. But this last insult comes with a court date. Mostly because she claims she didn’t do it. 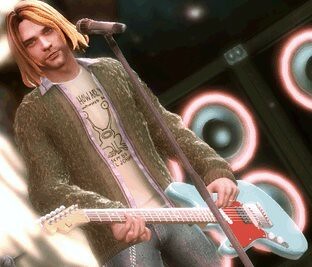 This week, Activision released the new version of Guitar Hero, complete with a dirty but cute avatar of Kurt Cobain. While Nirvana purists may not appreciate seeing the band’s deceased lead singer in digital. Insult was added to injury because Cobain’s avatar is used differently than other famous characters in the game. While gamers can use Cobain to sing his own songs, Activision has unlocked the character to allow him to sing any number of other genres, from rap to hair metal. And while it may be amusing to watch Cobain sing Flavor Flav songs, Courtney Love claims she did not grant Activision this right. Activision says they acted within their rights. But even if Love is wrong and did allow the company to use Cobain’s likeness exactly as they are, it might be in their best interest to back off. Marketing departments need to come out of their comfort zones and start demonstrating their impact on the bottom line, writes James Harrison. When you’re a digital marketer or deal with issues like SEO on a day-to-day basis, it’s easy to forget that there are lots of people running businesses that leverage the internet in some way who are trying their best to learn and stay on top of trends without all the resources of the ‘pros‘. I was recently speaking to an acquaintance who runs several small mom-and-pop ecommerce websites and as we discussed his use of AdWords, he told me something quite interesting: despite the fact that his campaigns weren’t performing, he felt the need to continue spending a little money with AdWords because he thought it would help with his organic ranking.